Called last Monday evening by Montreal Impact assistant coach Wilfried Nancy, FC Montreal midfielder, David Choinière was told that he would write his name in the record books. 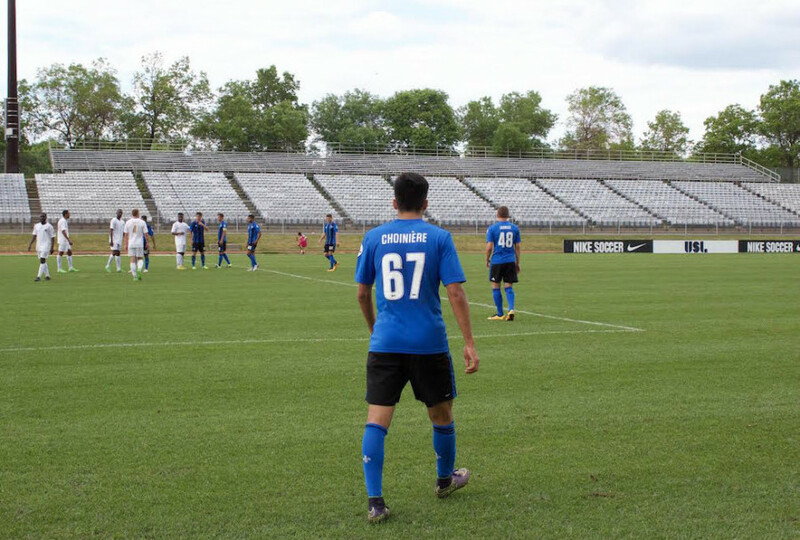 The Saint-Jean-sur-Richelieu native would be the first FC Montreal player to crack an Impact first team 18-man roster. In his first year with the Montreal United Soccer League side, Choinière has impressed in his ten games played—so much so that teammates had warned him a situation like this could happen. Last week, Choinière joined the Major League Soccer side he had just started to train with on a couple of occasions. “I already had the chance to train with the pros often and I knew most of them so it was easy for me to get into the group,” said Choinière. “I didn’t have much tips [from the players] apart from staying at ease and being myself. Last Wednesday night in Toronto, Choinière came close to being the first FC Montreal player to step on the pitch for the Impact first team during the first leg of the Amway Canadian Championship semi-final versus Toronto FC. With the rumours surrounding FC Montreal’s young star midfielder Ballou Jean-Yves Tabla, the news that the Canadian youth international would not join the team in Toronto surprised a few. Choiniere was one of these people intrigued to not see more USL players making the trip down the 401. “I heard that Ballou or even Thomas [Meilleur-Guiguère] could make the trip so I was surprised,” said Choinière. The 19 year-old remains humble on the feature. He realizes that the path to being a regular in the senior squad is not done yet but has his eyes set on a spot with the MLS side. 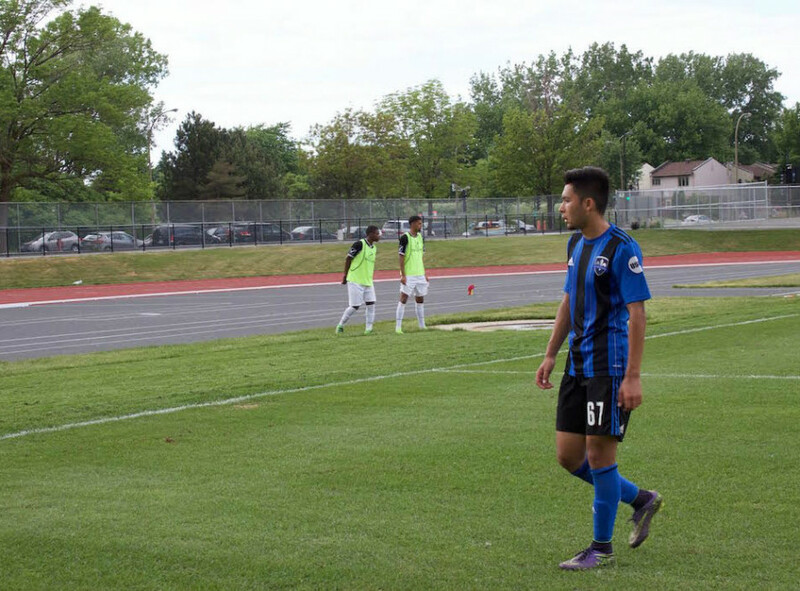 UPDATE: On Wednesday June 8, Choiniere stepped on the pitch at the 87th minute in the Canadian Championship semi-final return leg at Stade Saputo. 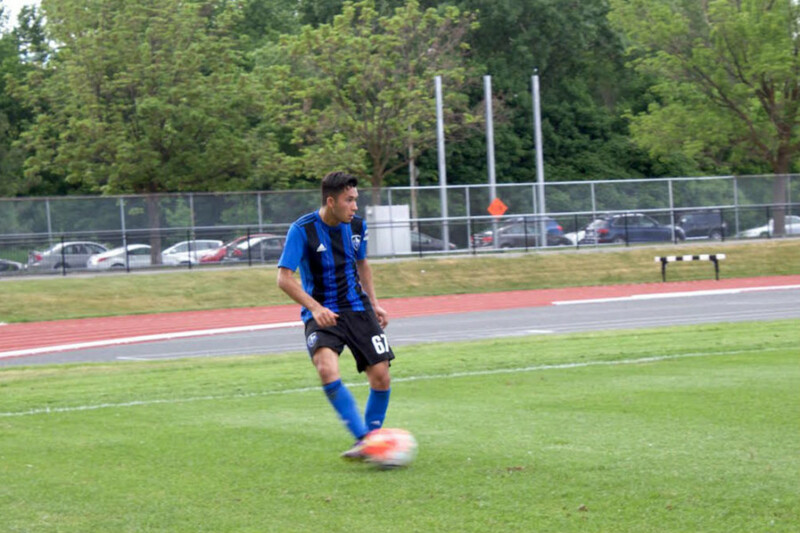 By the same token, he became the first FC Montreal player to play with the Impact first team.